Download the Map. Print. Draw. Submit. Draw your ideas on the map of what you think the future Basalt Downtown core should look like. To see recent submissions, see Results. 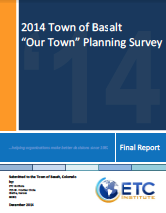 Submit your drawing(s) to the Town of Basalt before May 10th. Scan or photograph your drawing(s)…then Submit your drawing using this online form; or email it to OurPlan@basalt.net. If you prefer, you can hand deliver your drawings to our offices. Here is a map to get you here.